Raspberry Jello with Marshmallow Drizzle is super easy to make and super delicious. 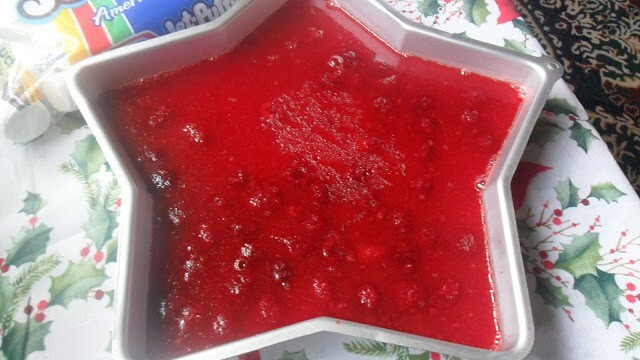 Raspberry flavored jello, jar of applesauce, and a container of frozen red raspberries in syrup are combined together to make a delicious and fruity jello salad. My grandson loved this salad! In fact he ate most of it. The marshmallow drizzle takes this jello over the top and will have you asking for more too. My family loves a good jell-o salad and I try to make a “new” flavor each year at Thanksgiving. This is one of those recipes. The recipes become family favorites and re-appear over and over again. The only big problem I have with jell-o salads is getting them out of the mold. As you can see by the image above, this jello salad didn’t want to cooperate with me, maybe because I forgot to lightly spray the mold first with non-stick cooking spray. Take a bowl, casserole dish etc. that is slightly larger than the mold you want to un-mold and fill it with hot tap water. You don’t want to use boiling water because that will melt the whole salad and you’ll have one heck of a mess on your hands! Gently submerge the bottom of the mold into the hot tap water for 5 to 10 seconds. Take a serving plate and invert it over the salad. Give it a little wiggle, cross your fingers and it should slide right out. The marshmallow drizzle takes this jello salad over the top! Made with mini marshmallows, milk or cream and sour cream, this topping would be delicious on anything you drizzled it on. You can drizzle the marshmallow mixture over the jello up to 4 hours before serving. Here is another great salad you might want to try. Serve Pear Lime Salad alongside this Raspberry Jello Salad on your Christmas buffet table for a festive touch. 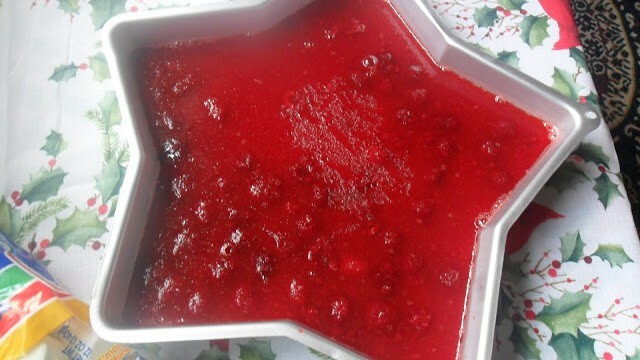 Jello is made with applesauce, frozen thawed red raspberries and raspberry jello. The marshmallow glaze that tops this jello salad is unbelieviably delicious. Dissolve gelatin in boiling water. Let stand about 30 minutes to cool. Stir in the applesauce and raspberries with syrup. Pour into a 5 to 6-cup mold. Cover and chill in the refrigerator for 2 to 3 hours or until firm. In a small saucepan, combine marshmallows and milk. Cook and stir over low heat until marshmallows are melted. Remove from heat; let stand for 10 minutes. Stir in sour cream. Place mixture into a clear plastic baggie. 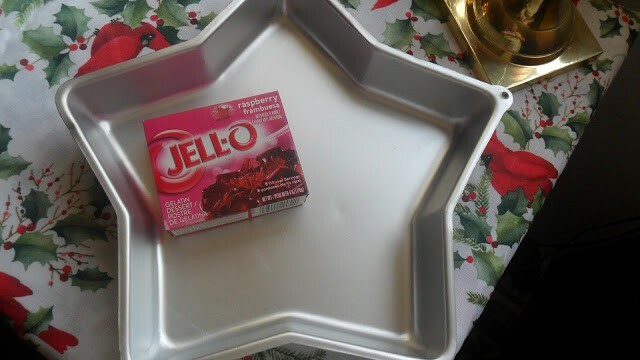 Snip off a small corner of the bag and drizzle the mixture over the jello salad. Chill in refrigerator about 1 hour or until firm. Thanks for participating in The Ugly Duckling, we weren't sure if people were going to go for it, so glad some embraced it!